The all-new Alfa Romeo Giulia has won the prestigious What Car? Reader Award for the most eagerly-anticipated new car of 2016. Built on an all-new, rear-wheel drive platform with an emphasis on light weight, perfect weight distribution and handing agility, the new Alfa Romeo Giulia will be powered by a range of advanced engines - including a Ferrari-inspired 2.9-litre turbo-charged V6 producing 510hp in the top Quadrifoglio version. Combine these attributes with unmistakably muscular Italian styling and it’s no wonder that the new Alfa Romeo Giulia secured 30 percent of the overall votes, 20 percent more than the runner up vehicle. Ten vehicles were shortlisted for the award, including the FIAT 124 Spider (which had not even been unveiled when the voting opened), and tens of thousands of What Car? 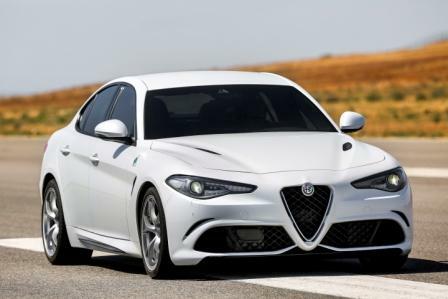 Readers cast their votes for their most eagerly-anticipated new car of 2016 but it was the Alfa Romeo Giulia that opened up an early and unassailable lead, earning its first major UK award well in advance of its official launch later in the year.